We have been manufacturing heavy duty Unwinding Machine with Web Guiding System per client’s custom requirement for different industries. 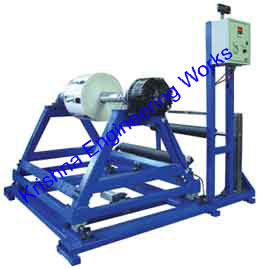 Unwinder and Rewinder Machine with Web Guiding System, from the Unwinder, the Rolls goes into inspection & Tracking System and then the Roll goes in to Rewinder System which is operated by Motor & Drive. Our Unwinder & Rewinder Machine with Web Guiding System comes with Web Aligner System which controls the edge of the Rewinded Roll.